Visual Components 3D manufacturing simulation software is purpose built for manufacturing professionals charged with designing production solutions that meet the demands of today’s globally competitive marketplace. Design smarter production solutions with technology that’s purpose built for manufacturing design. The core of Visual Components is designing and simulating production solutions. We make this task simple via an extensive library of simulation-ready components and simple workflows for creating and simulating layouts. The Visual Components eCatalog contains a library of 2,000+ components, including robots, conveyors, and other production equipment, giving our users a broad starting point for creating layouts for any manufacturing project. It’s also easy to import your own CAD files directly into the software, as Visual Components natively supports most leading CAD formats. Our software’s intuitive user interface and simple layout configuration workflows make it easy to create 3D layouts, ready for simulation. 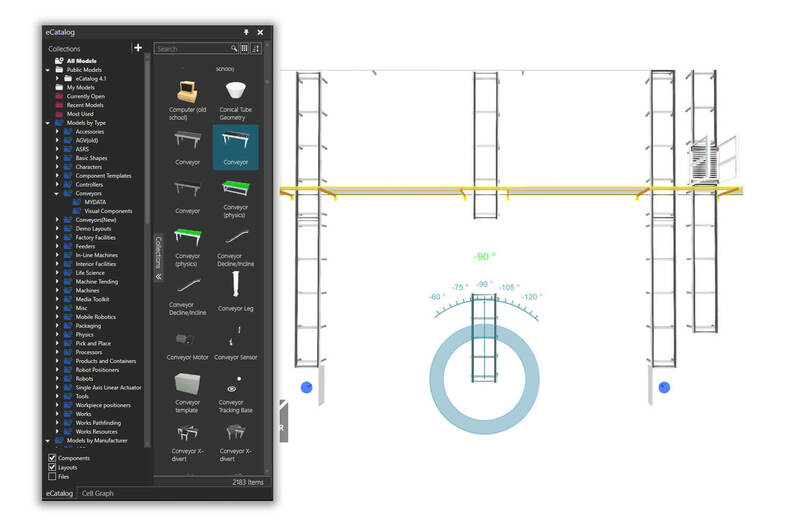 Simply drag and drop components from the eCatalog directly into the 3D world and connect compatible components using the plug-and-play feature. As the operating logic is integrated into the components, simulations are easy to run, and adjustments are easy to make. 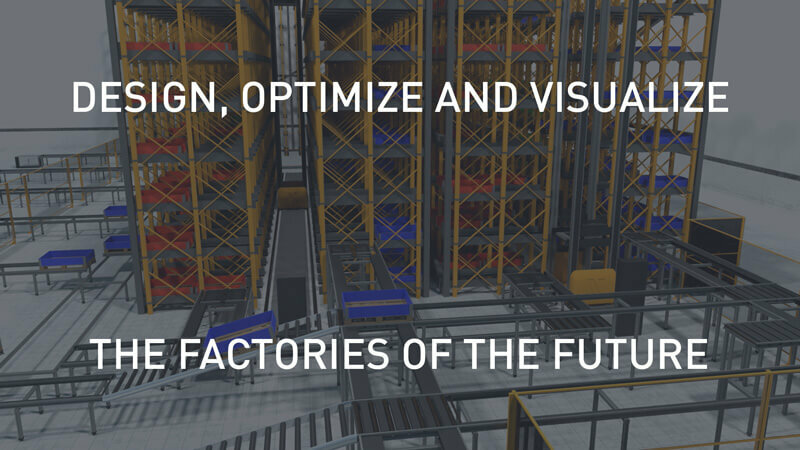 Optimize the design of your production solutions in the virtual world first. Visual Components is a powerful tool for engineers and planners to evaluate trade-offs and make better decisions. It provides a meaningful return on investment for many types of manufacturing projects, by saving time, improving productivity, and helping manufacturers to identify opportunities for cost savings. Visual Components provides a platform to virtually test and validate the design of your production solutions. 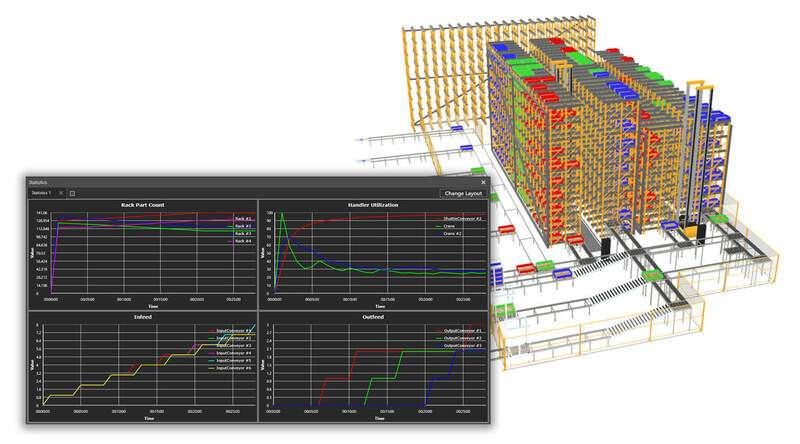 Simulating the workflow yields production statistics and insights, such as cycle times, production rates, and process bottlenecks; giving valuable information that can be used to evaluate how changes in layout design, resources planning and variability affect production. Visualize complex production data and turn it into proposal-ready content. Visual Components empowers manufacturing professionals to create marketing-grade content with engineering-grade accuracy, so you can highlight the capabilities of your production solutions and sell your vision. Easily export presentation-ready content for your proposal – such as 2D drawings, interactive 3D PDFs, 4K videos and high-resolution images – directly from the software. And, with the new Visual Components Experience, you can export your simulations to run on our mobile and virtual reality applications. Find out how to create project ready content with Visual Components and download sample files!